Taking your pet to any animal shelter should be your last resort. Shelters, including ours, are temporary holding facilities designed to house a large number of stray/lost pets at one time. While our goal is to provide quality care for every animal we house, it will always be a loud, scary and stressful environment for most pets and not all will make it up for adoption because of medical and behavioral issues outside the scope of resources we’re able to provide – some as a direct result of the stress that an animal encounters after arriving at the shelter. Our intake facility is located at 3201 Division Street, only. We take owner surrendered animals in by appointment only at 3201 Division St., as space is available, and we are almost always booked two weeks out. We will try to help you keep your pet, first and foremost. We have a lot of different resources to share with you that will probably help resolve your problem so you don’t have to give up your pet. Placing your pet for adoption through our organization is a service we provide above and beyond what is contractually required of us and to help offset the costs we do charge an owner surrender fee of $50 per pet, and $100 per litter payable on intake. If you are unable to pay the surrender fee we may be able to waive or defer the fee, ask us how. We do not put animals up for adoption that are aggressive towards people or other pets. We do not have resources to treat, fix or manage major medical problems for owner-surrendered pets. We cannot guarantee that your animal will be put up for adoption. If your reason for giving up your pet is “no time,” please know that our adopters are average people, just like you. We’re happy to talk with you about things you can do to enrich your animal’s life so they can stay with you and be happy. RedRover.org– Provides financial assistance, resources and emotional support to pet guardians struggling with economic hardship when pets are in need of urgent and emergency veterinary care, as well as support and resources to help victims of domestic violence escape abusive environments with their pets. YouCaring.com– a free crowdfunding site that focuses on raising money for people who need it for personal reasons – everything from education to pet expenses. Each month, they have over 2,000 crowdfunding campaigns for people needing help with pet care costs. Pet Food Pantry– YWAC’s program provides free pet food for low income families struggling to afford pet food. Come to Young-Williams at 8 a.m. the second Saturday of every month to participate. adoptapet.com– Adopt-A-Pet is one of the nation’s largest adoption websites, your post reaches millions of visitors every month! Post an ad on Craigslist Pets and screen potential adopters. Charging an adoption fee is highly recommended when using Craigslist. Get answers to our frequently asked intake questions. Young-Williams Animal Center has teamed up with Adopt-A-Pet to offer free online postings for animals in the community needing new homes. 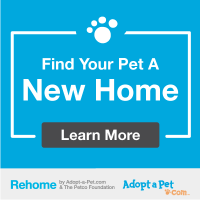 Click below to post a free online ad that will reach millions of people looking to adopt an animal on adopt-a-pet.com, one of the leading adoption sites in the US!